The Los Angeles Times is asking a federal court to compel the Pentagon to release information on bonuses and incentives paid to contractors for delivering a $40 billion ground-ballistic missile system that doesn’t seem to work well. 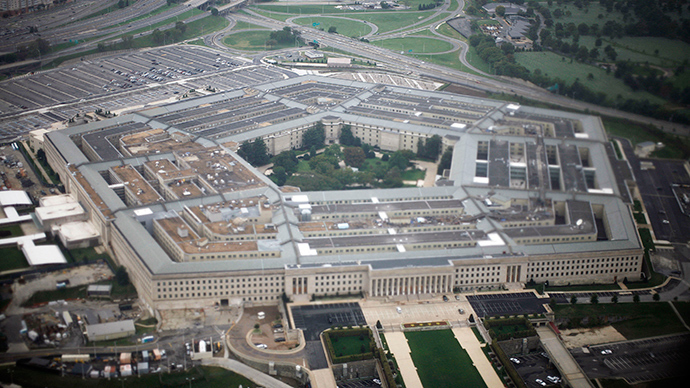 In the lawsuit, LA Times journalist David Willman claims the Pentagon has blocked his Freedom of Information Act request on the “large sums” it paid to companies that worked in the Ground-Based Midcourse Defense System (GMD) between 2001 and 2014. The lawsuit says the GMD system is designed to protect Americans against threats from rogue nations such as North Korea and Iran, but it has a spotty performance record – it has only intercepted targets nine times on 17 occasions, and three of the misses were on four of its recent flights. “Given the important national defense issues, the performance problems, and the staggering sums spent to date, the public has significant interest in the GMD system, including the bonuses or incentive fees paid to its developers,” argued the lawsuit. The system itself consists of ground-based interceptor missiles and radar which would intercept incoming warheads in space. Interceptor sites are at Fort Greely, Alaska, and Vandenberg Air Force Base, California. The companies involved in its manufacture are Boeing, defense contractor Raytheon, security company Northrop Grumman, and space technology company Orbital Sciences. What Willman ultimately discovered is that the missile shield cannot be relied on, even in carefully scripted tests that are much less challenging than an actual attack. In his story in June 2014, Willman quoted Dean A. Wilkening, a physicist at Lawrence Livermore National Laboratory in Livermore, California, who said GMD remains a "prototype system" that "has performed less well than people had hoped." “If you're going to rely on that as an operational system, one shouldn't be too surprised that it does tend to fail more than you'd like," said Wilkening at a policy conference in Washington, DC at the time. At a separate conference that same month, Wilkening called the system's test record "abysmal." The defense contracts involve thousands of jobs in five states, mostly in Alabama and Arizona, which depend directly or indirectly on the program. Speaking to retired Lt. Col. Tony Shaffer of the London Center for Policy Research, RT’s Ameera David asked whether the Pentagon had a rational justification for not handing over the documents. Shaffer said it was clear the DoD is trying to hide something. “Any time you have taxpayer money being used, it is the obligation of that company and DoD as to how the money is spent. Anything sensitive can be redacted but the numbers of what it was used to fund should be completely transparent,” said Shaffer. David also asked if there is a way for the public to know how money is being spent without relying on the LA Times to sue the government. The DoD has 15 days to respond to the complaint.